Chinese blogger Hua Qianfang caused upset with his comments about the futility of learning English. We hope you're already utilizing the IG Stories hacks we listed and having fun with your content. While exploring the feature, we're sure you were able to discover ways to make your stories better. But let's face it, there's only so much we can do with IG Stories. 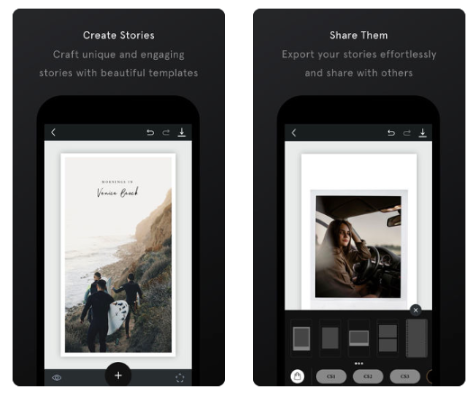 If you want to upgrade your Stories game, one way to do it is by downloading apps. There are hundreds out there which you could get lost in-and, take up all your phone's storage space. Here, we edit it down to the essentials. 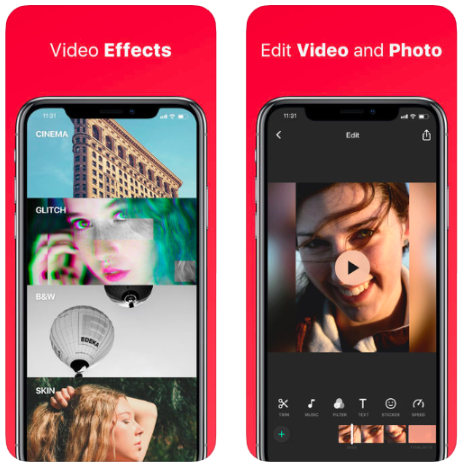 InShot practically has everything you need in a video editor. It covers the basics like trimming, splitting, cropping, or merging clips. It can also modify the ratio of videos and images to conveniently add them to Instagram Stories. There's an option for speed control as well. 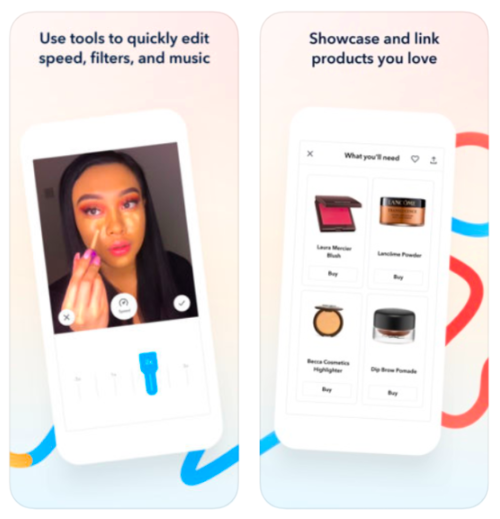 And aside from various video backgrounds, filters, and effects to choose from, you can also add music and sounds to your videos, as well as text, stickers, emojis, and other design effects. This one's an absolute essential, we bet your favourite Instagrammer uses it. What makes it a favourite to content creators is its minimalistic, elegant templates. 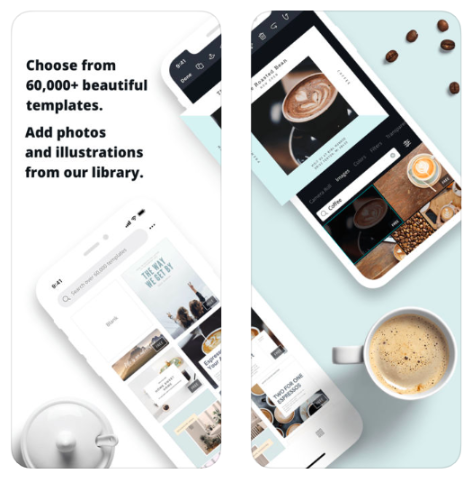 There are 25 free and 75 premium templates. It supports both photo and video stories and has plenty of design options for each. It also lets you preview your story with 'Story mode' so you're confident when you finally hit 'post'. After finishing your Instagram story you can export it on high quality and post on your Instagram account. If minimalism is not your cup of tea, then we recommend you get Canva. While it originally started out as a tool specifically for marketing collaterals like flyers, and invites, it's perfect for everyone. Don't worry, even if you have zero background in graphic design, Canva will help you with that. It's user-friendly, and your options are endless. Not even exaggerating. It has over 60,000 templates, one million background images, 130 different fonts, and tons of graphics to create. Not to mention, their collection of stock images, stickers, badges, icons, frames, and textures you can use as background image. Their latest feature is a dedicated Instagram story maker option, so yay! Especially if you're a content creator or growing your business, you know how crucial it is to post on a regular basis. It becomes a hassle, we understand completely. But don't fret, there are now tools that can make your life so much easier. You could try the app Later, which was specifically designed to address that problem. 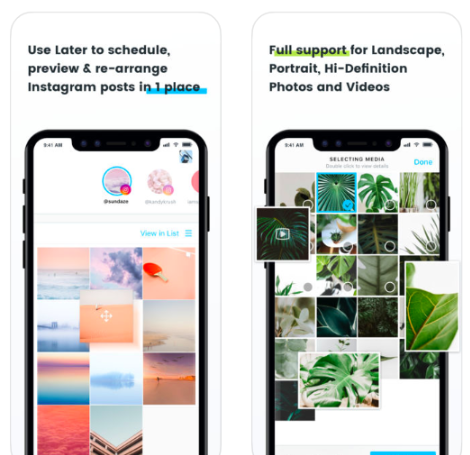 Their Instagram Stories scheduler lets you edit photos and text directly, and their storyboard tool allows you to rearrange them. You can also add links or captions to your scheduled stories, which will be copied to your phone when it's time to post. You'll receive a notification on your phone once it's time to post. When you open the notification, your stories will be downloaded to your phone and caption or links copied to your clipboard.